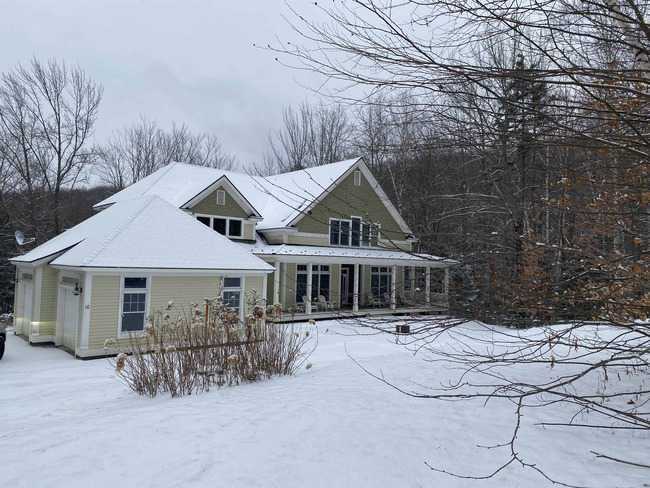 Revel in unparalleled panoramas of Stratton and Bromley Mountain views from this expansive Adirondack style home. 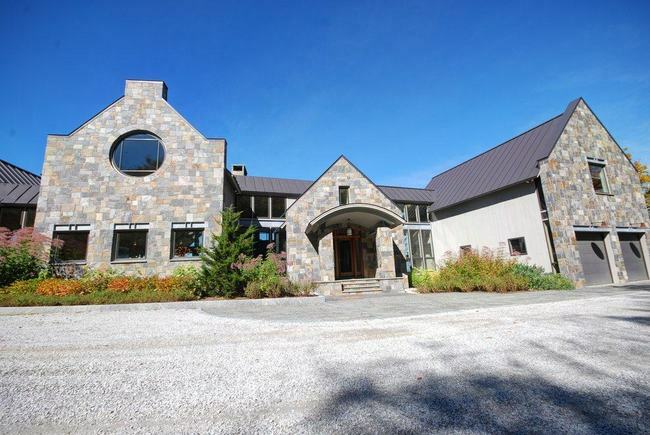 Truly a residence made for entertaining; 5500 sq.ft. of open living space boasting a cathedral living room with a floor-to-ceiling stone fireplace and spacious chefs kitchen with marble counter tops and high end appliances, custom home theater and spacious rec room with ping pong and fuse ball. Relax in the hot tub or on the stone patio taking in the best views around! 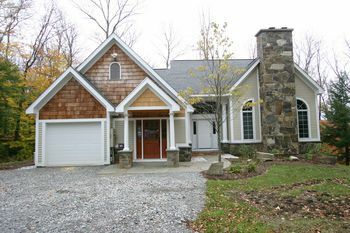 Sleeps 16 with 6 bedrooms and 5.5 bathrooms. Bedroom #1 - en suite king, bedroom #2 - en suite king, bedroom #3 - en suite queen, bedroom #4 - en suite queen, bedroom #5 - ensuite 2 sets of bunks, bedroom #6 - 2 sets of bunks. Grand Log Home with views! 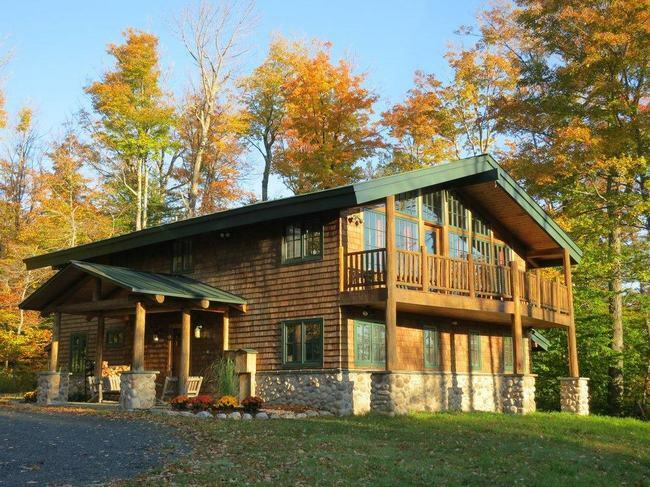 This is a one of a kind, high-end, luxury log home with fine furnishings and decor throughout. 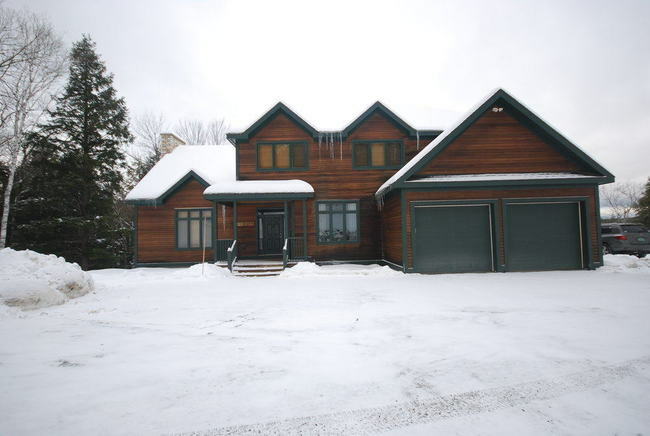 The home boasts 6 bedrooms,chef's kitchen, and a grand stone fireplace with open living plan on main floor. The lower level features an additional living/fireplace room with bar, game room, home gym and movie theater. This perfect vacation home is only minutes to the Mountain via shuttle.